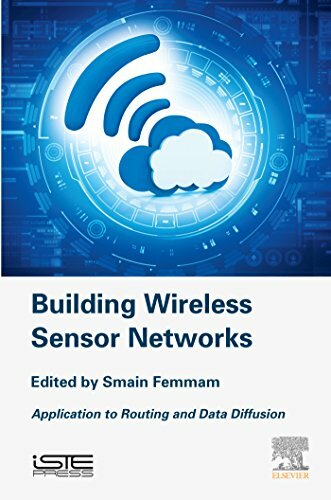 Building Wireless Sensor Networks: Application to Routing and Data Diffusion discusses challenges involved in securing routing in wireless sensor networks with new hybrid topologies. An analysis of the security of real time data diffusion-a protocol for routing in wireless sensor networks-is provided, along with various possible attacks and possible countermeasures. Different applications are introduced, and new topologies are developed. Topics include audio video bridging (AVB) switched Ethernet, which uses the representation of a network of wireless sensors by a grayscale image to construct routing protocols, thereby minimizing energy consumption and data sharing in vehicular ad-hoc networks. Existing wireless networks aim to provide communication services between vehicles by enabling the vehicular networks to support wide range applications. New topologies are proposed first, based on the graphiton models, then the wireless sensor networks (WSN) based on the IEEE 802.15.4 standard (ZigBee sensors, and finally the Pancake graphs as an alternative to the Hypercube for interconnecting processors in parallel computer networks.